Do you work late, or are you a student with no time to do laundry? 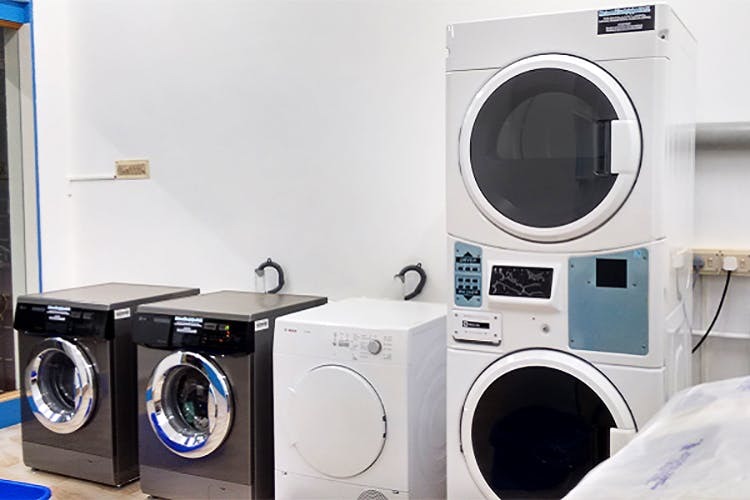 Life’s too short to spend it on laundry, so we’ve picked out some places that offer budget laundry services from different parts of the city. With free pick up and delivery, Wash Door wins the first mention. Get up to four kgs of clothes washed, with cuffs and collars treated for INR 199. They also have monthly plans. If you like those crispt shirts, opt for their steam iron that costs INR 7. Right now, they operate in Velachery, Pallikaranai, Adambakkam, Thoraipakkam, Tharamani, Madipakkam, Keelkattalai, and Perungudi. All you have to do is place your order and they will come pick it up and drop it off when you need it. You can even track your order! New in the city and is language a barrier? Then try this laundry service which does not require you to make calls. They have an app, so just register and give them your details. They will pick your clothes up and deliver them within 24 hours. They also have the option of self-service and door-step pick up and delivery. What we like about them is that they are pocket-friendly. If you pick the self-service option, you can wash up to six kgs of clothes for INR 160. Thiruvanmyur peeps, get your clothes picked up and dropped off by this neat little service. They have high-end machines, and are known for their super fast service! Don't believe us? Check out their equipment on their website! With more than five machines at their facility, their express service costs INR 60 per wash, and they will even iron your shirts for INR 7 per piece. You can get up to 5 kgs of clothes washed for INR 250. Worried about that expensive silk saree? Wassup has your back. They tag clothes depending on the kind of fabric and give your silks the special attention. They also have the 'pick-up-from-home' option and deliver within four days. Opt for their express delivery in case you want the clothes within 24 hours. For 40 garments a month, the company charges INR 1,299 including two home visits, ironing and delivery. An extra tip: Wassup works with local dhobivallas to iron your clothes! For the homesick IT crowd that operates from the outskirts of the city. Worry not. This laundry service operates out of Perumbakkam, Pallikaranai, Medavakkam, Sholinganallur, Madipakkam, and Thoraipakkam. They will pick your clothes up, wash, iron, steam, and deliver them at INR 60 per kg.